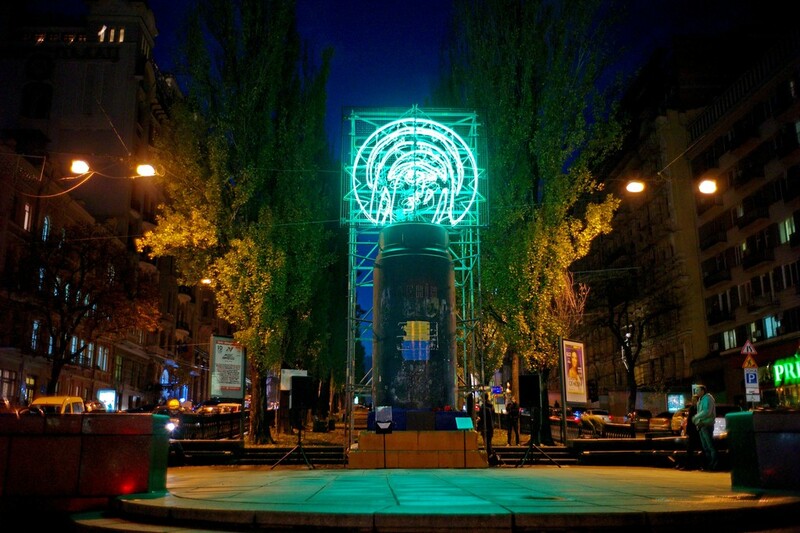 The Endless Celebration by Mahmoud Bakhshi is a subjective ironical comment made by the artist on this particular historical moment that culminated in the radical action of removing the monument. 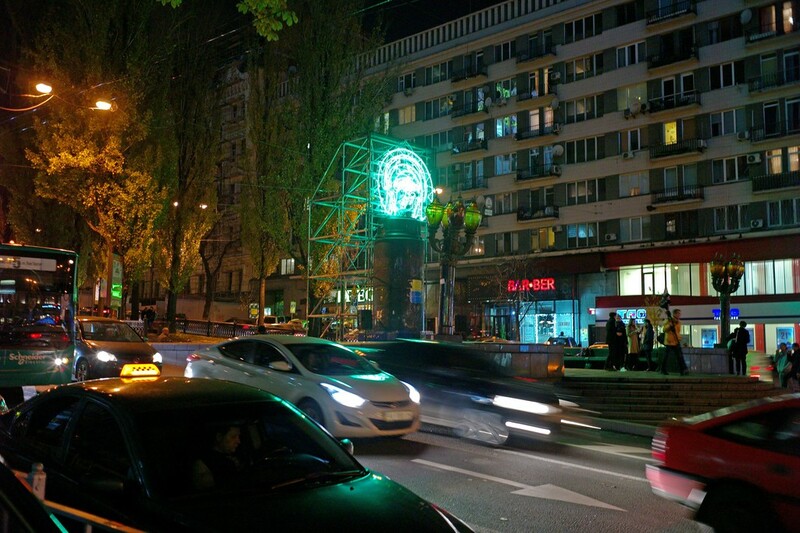 In his previous works and projects, Bakhshi often looked at a role of a public monument as advertising for new ideas. 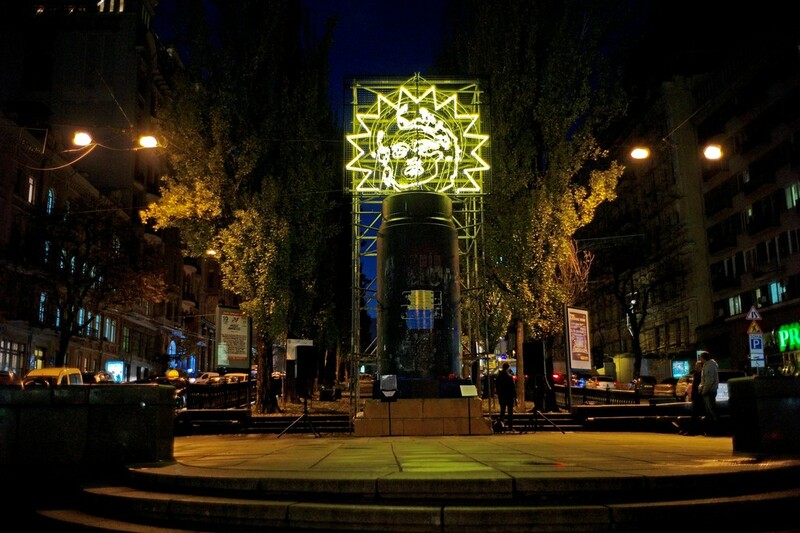 The artist developed this project as an attempt to visually articulate the historical choice made by the Ukrainians when they removed the Lenin monument from its place. Mahmoud Bakhshi chose the changing colours of a traffic light to signpost the impossibility to go back to the past as red and the new possible directions as green and yellow. 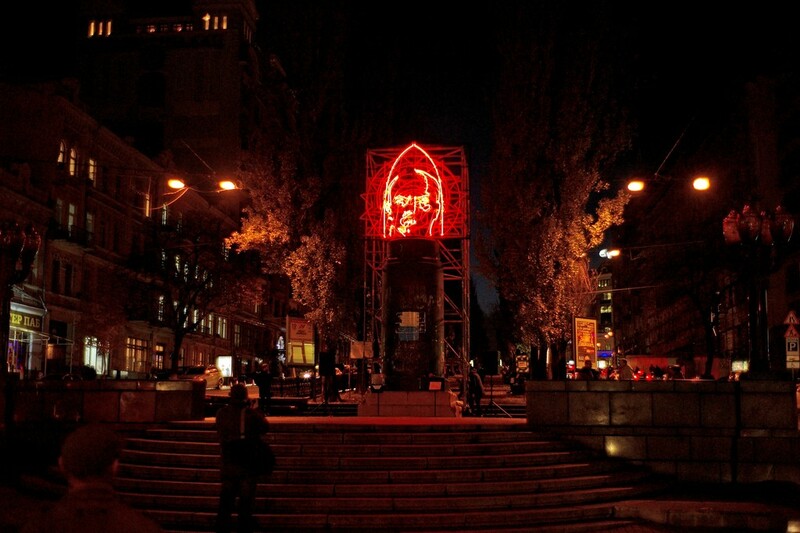 Three face images carefully selected by the artist are Lenin, Virgin Mary and pop-singer Madonna. Presumably, they embody three essential pillars of society, namely ideology, religion and economy.